Statement-Matching.com came to us wanting to update their offices and they wanted to go for an executive look, well they definitely came to the right people. 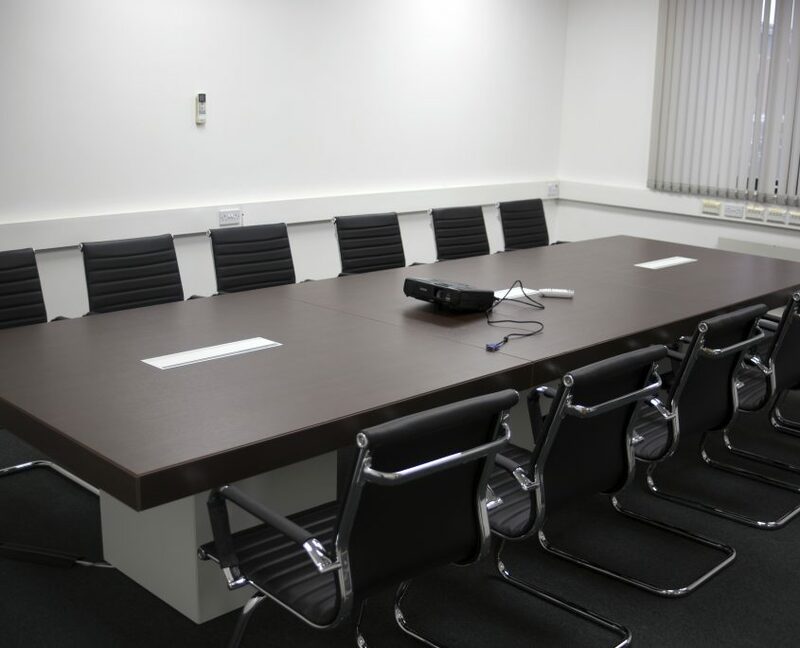 They went for the Quadrigfolio T45 range of our furniture with a meeting table and executive manager desk. 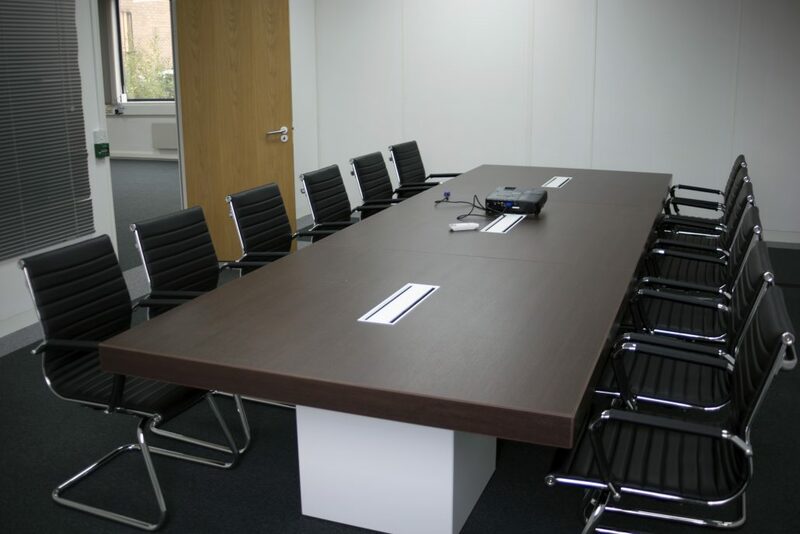 The desks chosen were the T45 Desk in Wenge with a white return. See the collection here. 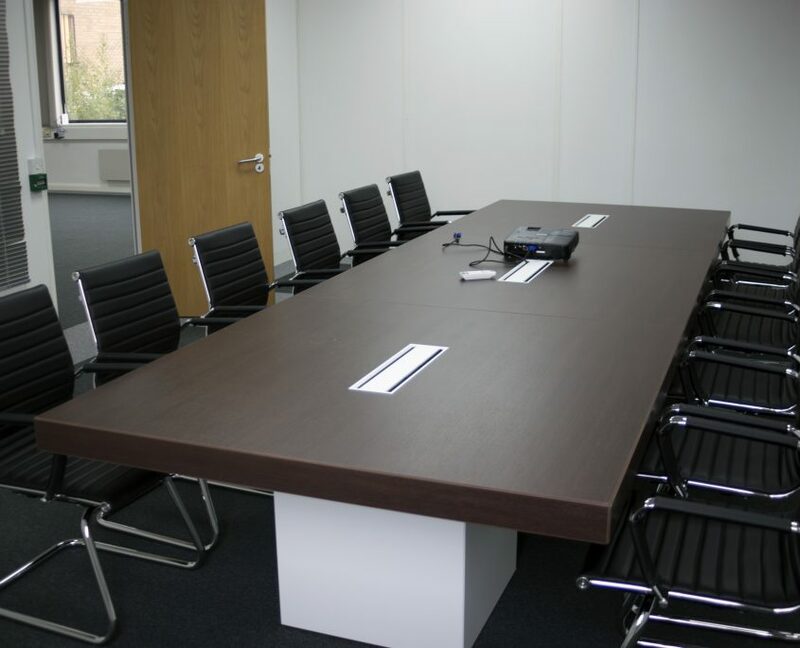 The T45 Meeting Table was in Wenge with white square legs. It also included cable outlet flaps to keep the tidy look. See more of our boardroom/meeting room projects here. The chairs chosen for the meeting room were the AMCA chair with arms in black leather and a chrome frame. Take a look at our selection of boardroom and meeting chairs here.